Easy music activities will add variety to your day care setting, and allow children to express themselves in a unique way. Music and movement naturally go together. Children will more readily respond to music when they are able to move along with it. Even infants will naturally sway or bob their heads. Music will allow you to educate as well as entertain. Easy music activities involving singing and musical instruments give children the opportunity to join in, instead of just passively listening. They will learn about sounds, memory, sequencing, self discipline, and creativity. Play any selection of music and let the children dance and sway to the beat. Stop the music. Once the music stops the children must freeze in whatever position they are in. Repeat several times. Vary the music you choose. Use soothing music one day and more upbeat tunes on another. Attach bells to the shoes of young children. Play music letting them dance to the song. This is an especially well liked activity around the holidays. Classic favorites like “I’m a Little Teapot”, “Itsy Bitsy Spider”, or “If You’re Happy and You Know It” are easy music activities. 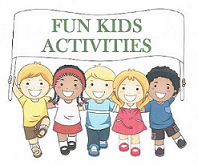 These songs have simple verses and actions that make the songs fun for kids. OR…create your own movements for songs. Play any selection you like, and depending on the rhythm and tempo of the song, call out directions for the children to follow. Examples : reach to the ceiling, sway back and forth, march in a circle, wave your arms, etc. OR…tape or staple long thin strips of crepe paper, or yarn to dowel sticks and let the children wave the sticks in the air to the beat of the music. Make sure each child has plenty of waving room, and have your own stick to lead the group. Glue pictures of farmyard animals on index cards (one animal per card). I found my pictures in a twenty five cent thrift store book. Sing the song, and as needed, hold up one of the cards to indicate to the children what animal is next. Let the children make musical instruments. Play selections of music and let them add their own creative flair by playing along with their own instrument. Give each child two pieces of waxed paper large enough for the child to stand on. Have the children place one foot on each sheet and skate around the room while you are playing a waltz in the background. Make sure they understand that it works better if they “skate” in slow gliding motions and that their feet should be kept firmly on the paper. *This is an easy music activity but it can get slippery and is best used with older preschoolers. It works great on both tile flooring and carpet. Choose a story that has a variety of action. Give each child a musical instrument. Have a variety (drum, keyboard, shakers, triangle, etc.). As you read the story, have them play their instrument accordingly. If the main character is sitting or sleeping, then quiet sounds would be made. If walking, sounds would be slightly louder. If running or jumping, the sounds could get quite loud. *Make sure you have a signal in place so the children know immediately when to quiet down so you can continue reading. Watch a children’s dancing video with your group and try to imitate the dance moves. OR play music the children are familiar with such as songs from Disney movies or Kidz Bop Cd’s. Create actions to go with the songs. Examples…easy hand motions, bending their knees, or clapping to the beat. Draw a vertical line down the center of a large sheet of paper for each child. Play classical music and have them draw how the music makes them feel on the left side of the paper. Change the tempo to a fast paced song, and have them do the same on the right side. Typically the left side will be soft flowing lines and the right side will be big blobs and thick lines. Sing a “Welcome Song” early in the day at circle time, and use the “Clean Up Song” at the end of the day. Introduce one musical instrument at a time. Let the children fully understand the sound that the instrument makes. After several instruments have been introduced, play selections of music that favor one instrument and see if the children can identify the instrument by the sound it makes.